One thing virtually every major city has in common is rodents of one form or another, scavenging her back alley's and dumpsters, looking for some delectables that you and I decided were no longer good enough for us to consume. Now, I'm not going to go off on a rant about how the (good) food we waste would probably feed most of the hungry and the homeless in our society, even if I believe that to be true (Sorry, I had to get that little jab in there). 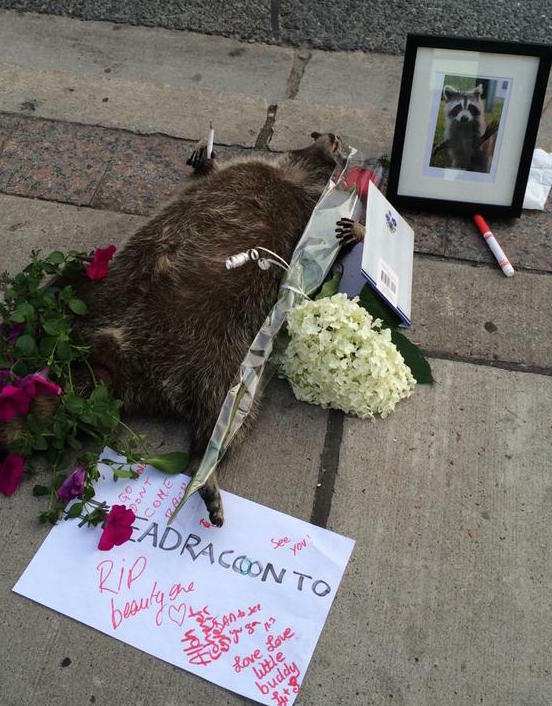 But now that I got that off my chest, what do you do when you discover a dead raccoon on a sidewalk in the downtown corridor of a major city? (No, making a donation of it to the Food Bank is the wrong answer. Likewise, so is making a hat). Well I guess the real answer to that question depends upon whether or not the city's animal services are quick to respond to the gradually rotting and potentially rabbis infected carcass lying there on its metropolitan doorstep. One would hope that they would, but if they don't, if for some reason they've got better things to do than protect the health of its citizens, you can always turn to social media and tweet about it, and maybe to make your point, start a sidewalk vigil for the poor rodent. Such was the outcome recently in Toronto. 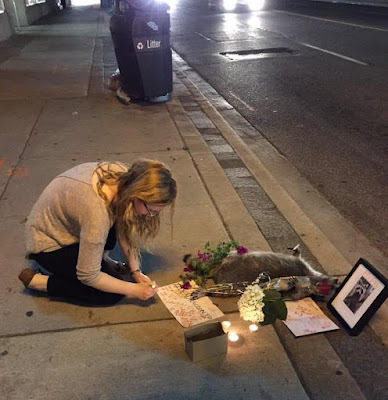 Despite the requests to the city to deal with the problem, even by city councillors themselves tweeting about it, sources say that the deceased animal lay on the sidewalk for about twelve hours before being carried off to its final resting place. 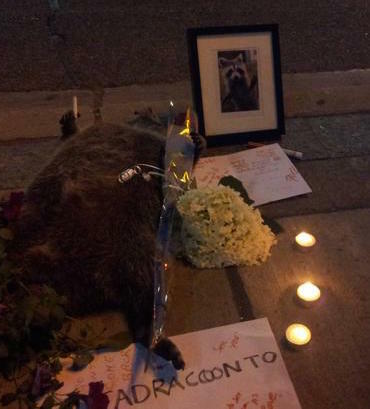 As the events unfolded, we learned from the hashtag #DeadRaccoonTO that the raccoon's name was Conrad. Soon a framed picture of Conrad was placed beside his corpse. There were flowers and cards and signed tributes. 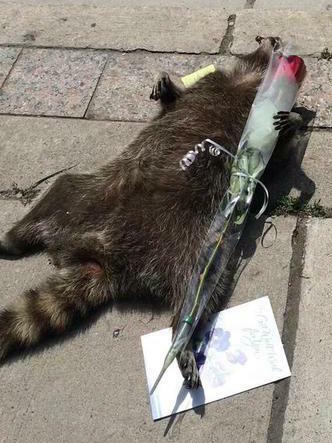 As dusk began to fall, even candles were added to the memorial; a fitting tribute, no doubt, to a fallen denizen of the city's dumpster corridors. It was really quite a beautiful impromptu send off for Conrad. It couldn't have been any better if they had planned it that way. 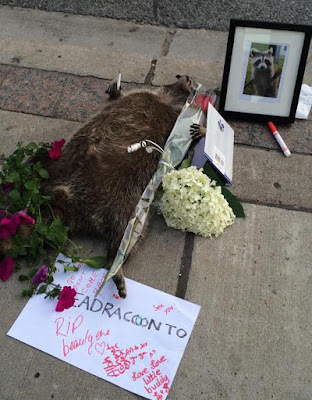 My hat goes off to the citizens of my old stomping grounds, the good folks of Toronto, for such an eloquent memorial to Conrad. You make all Canadians proud, including this one. As for the city's animal services department, consider yourselves, well, "Roasted." 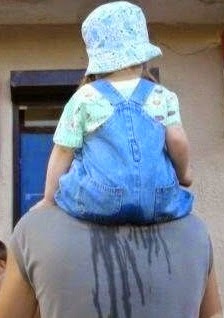 Let's just hope that no medical side effects of your timely response linger on in those who stopped by to pay tribute.